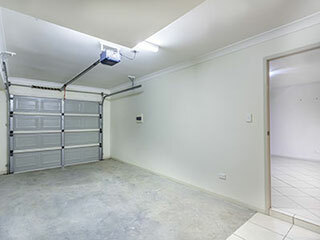 The importance of electric garage door openers is grand! Openers not only give us the luxury of automatic operation but have also become the means for maximum safety. Openers are now manufactured to offer safety. In a different case, they are inappropriate for residential use. Openers, which don't comply with official requirements, must be banned from our houses. That's the law anyway! The United Laboratories certify electric openers as accepted for domestic and commercial use as long as they integrate the necessary safety features. So, when we buy new openers, making sure they are certified with UL 325 regulations is a must. Will that ensure our safety? The answer is not simple. Is the opener installed properly? Purchasing the right opener in terms of its safety is the first step for safe overhead door operation. Will it be sufficient? The truth is that openers provide safety only when they comply with certain rules and are properly maintained. It's not enough for them to comply with the official safety regulations; they must also be installed properly and taken care of right. If they are not, their safety is cancelled. Official requirements stress the importance for the existence of photo eyes and a release cord. Though, if these parts are not installed properly, your door opener won't be safe. The release cord must hang from the trolley or carriage of the garage door opener. It must be at a height we can reach it in order to pull it easily but then again without having it in our face all the time. The most crucial point is to install the photo eyes correctly. They are supposed to be placed at approximately five to seven inches over the floor and look each other. If placed higher, they won't see smaller objects or your foot. The wall button of electric operators must also be placed at a certain height high against the wall. According to the regulations, it's best to place them at about five feet over the ground so that children won't reach them. These are the main garage door opener installation rules but don't forget that the electric garage system will continue to serve you safely only when it's well maintained. So, make sure the sensors are adjusted and check the entire opener system often.